As Megan and I shared in our introduction stories (here and here), we each experienced deep struggles with our first children in the area of sleep. 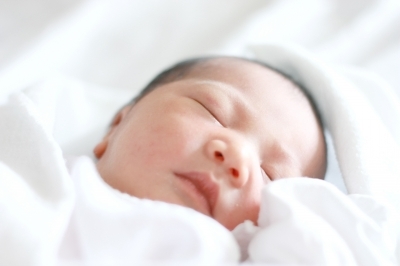 We had each been thoroughly primed with the "right" methods for ensuring early success with our babies' sleep habits. Techniques that work very well in many households. Yet we found that these methods led to massive feelings of guilt and failure in our lives, eventually discovering through much heartache that they were an incredibly wrong fit for our families. Looking back, we have often commented to each other that one thing severely compounding our difficulties during those early months was our complete lack of understanding of three major facets of infant sleep. • Medical professionals consider “sleeping through the night” to be a five hour stretch,generally from midnight to 5 AM. • Even children who have been sleeping five or more hours per night at a time may relapse into frequent nighttime wakings due to teething, illness, gastric reflux or other gastrointestinal issues, or preparing to reach a new developmental milestone. This is data that we wish we had known while rocking our babies through the nights, hearts aching because our daughters weren't "normal". From everything we had read and heard, we were completely under the impression that we should be expecting 10-12 hour stretches of sleep by the time they were a few months old. And that anything different indicated an abnormality or behavioral issue in need of intervention. Babies' developing systems cause them to cycle through sleep phases differently than we do as adults. It takes them significantly longer to settle into deep sleep, and they cycle between deep and lighter (REM) sleep phases more often throughout the night - averaging between 50-60 minutes between the two, as opposed to the 90-minute average for their parents. We will discuss in next week's post some of the biological benefits of babies' night-waking, and God's design for their development in those critical first few months. But even without the knowledge of why they wake so often, just knowing that those habits are physiological would have been so comforting to us during interrupted nights. At the heart of our message in Spirit-Led Parenting is the reminder that we are each a unique creation of our Father God. And our individuality is clearly present from birth. Some infants are "good sleepers" from day one, waking less frequently than others and preferring to self-soothe to sleep at naps and bedtime. Others just naturally require more parental help in the form of rocking or other methods of soothing. The same differences exist in adulthood, really. I spent a night this past weekend at a retreat with sixteen other women from church. Some headed to bed by 11:00, while others sat up hours later. Some burrowed under thick quilts and others wanted just a light sheet. Many drifted immediately off to sleep, while a few spent time reading to settle down. There were ear plugs and eye masks and I downloaded a white noise app to my iPod at 3:00 AM. Anyone attempting to implement one across-the-board sleep environment for the whole group would have made a good percentage of us completely miserable. We simply have different needs when it comes to sleep. Megan and I each spent a great deal of time fretting over why our babies just wouldn't fit the mold outlined in the manuals. We wish we could have had the perspective then that pursuing the same mold for every baby - while convenient and desirable - just might be neither realistic nor intended. Would it have totally eased the bleary-eyed haze of the baby days to have known all of these things as we entered parenthood? Not so much. But an awareness that our daughters were behaving in developmentally appropriate ways would have helped us to respond in peace and confidence to the way that the Holy Spirit was guiding us away from the mainstream model that we were trying to emulate, toward the methods of nighttime parenting that were right for our homes. Have you ever wrestled with misconceptions about infant sleep? Are any of these three areas as comforting or fascinating to you as they were to us? What else are we missing? If you have more than one child, what differences have you noticed in their sleep habits or needs? Great information! It is comforting to know that there isn't something wrong with your child or you. I have an almost 5 month old who wakes up 2-4 hours (and a few times has gone 5-6 hours) to eat. Everyone's favorite question to ask:"is he sleeping through the night?" I want to reply, "do I look like he is sleeping through the night?" I think the fact about breastmilk digestion is so important... If an adult wakes up hungry and want to eat, how difficult is it to fall back asleep without eating? Some nights I am so desperate for just 5 or 6 hours of sleep in a row, your post has reminded me that this is a precious time and soon he will be too big to feed in bed in the middle if the night. :) just saw a link to your blog from someone else's... I'll have to go back and read the other posts in the series. Thanks! Thanks, Melanie! I had to giggle at your "Do I look like he is sleeping through the night?" Isn't that SO true?? Oh, it's just so hard. Prayers for rest in your home and peace and strength in the meantime! Thanks so much for your comment and support!